For the sixth year in a row, Kids VT, Vermont’s free monthly parenting magazine, took home the top writing prize at the Parenting Media Association’s Design and Editorial Awards Competition. The national competition recognizes excellence in journalism, photography and design in PMA member publications. The association announced the honors at its annual March convention in St. Petersburg, Florida. “The writing in this publication is altogether original and engaging,” wrote the judge in the Overall Writing category. The judge in the General Excellence category noted that, “Kids VT is unafraid to tackle complicated and challenging subjects.” An example: Freelance contributor Katie Titterton’s story from the April 2016 issue, about how Vermont parents navigate the “benefits cliff.” The term refers to the steep and sudden decline in health care benefits that a family faces if the parents’ income is just a few dollars over the maximum threshold for Medicaid. This is the sixth year Kids VT has entered the PMA competition after the magazine was purchased by Burlington-based newsweekly Seven Days. The Kids VT staff recently redesigned the free monthly magazine for the first time since 2011 — the March 2017 issue is the first with several fresh new features, a kids’ activity section and a reorganized family fun calendar. The PMA, headquartered in Norwalk, Conn., represents more than 100 parenting magazines and newspapers in the United States, Canada and Australia. Kids VT is distributed free each month at more than 700 locations in northern and central Vermont. Its comprehensive calendar and weekly email newsletter, the Wee-Mail, keep Vermont families up-to-date on the latest local events. 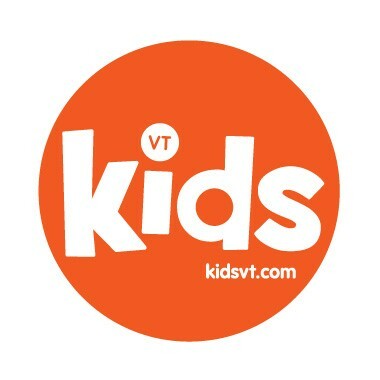 Find all of Kids VT’s award-winning content at kidsvt.com.